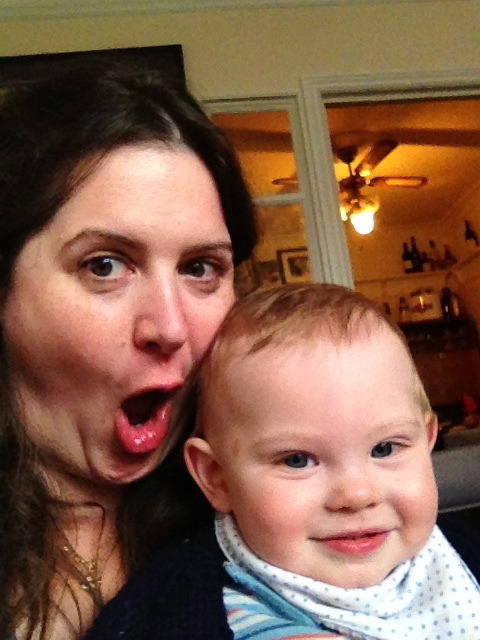 Off to Britmums – without the baby bump this year! At last year’s Britmums I was about 37 weeks pregnant and not exactly light on my feet. It was fun but I am terrible at striking up conversations but I did put some names and faces together. Hoping to be better at that this year! Also Owls and Pears is coming with me and she has been known to make me do all kinds of bold things. Oh wait, maybe that’s the other way around…. Pictured with the former bump, Sproggett who won’t be coming. Bring on the wine. Blog: -> Bake Make Rake <- and also One Million Gold Stars. Both have been a little neglected since I went off so much food during pregnancy so food blogging went way down the priority list, and since then have been running to keep up with the little man and lurking on social media as much as posting. Is this your first blogging conference? My third I think. I could be seen rolling around as a Massive Fat Pregnant at both Cybher and Britmums last year. Are you attending both days? Yes! As long as my babysitter doesn’t let me down. What are you most looking forward to at BritMums Live 2013? Focussing on blogging and writing and giving it some headspace, along with meeting people. What are you wearing? Hopefully not maternity wear, or baby food but depends on how the diet goes in the meantime and whether I remember to leave putting on my ‘Outside clothes’ until just before I leave the house. Man, kids can reach really far with grabby grubby little hands. What do you hope to gain from BritMums Live 2013? Inspiration to keep blogging, even if it’s at my slow snail pace. Photography tips always good too. I’m kind of wavering between keeping both blogs going or just one, maybe I will have decided by then or I’ll manage to make a decision that weekend! Tell us one thing about you that not everyone knows I make awesome Star Wars cookies. Oh and not immediately obvious from online stuff, but I’m Irish.